As you may know from my website, I am a keen storm enthusiast. Whilst having to take a hiatus (of undetermined duration) from storm chasing and inspired by the excellent work by Ignace Aleya, I thought I would create my own storm. You really should check out his channel - his ideas and tutorials are excellent! I had initial issues with the sun in my first takes, so awaited for the sun to dip and dim in the sky before recreating a stormy sky from my 2017 chase footage. Of course, using lightning to transform the sky was the main effect. 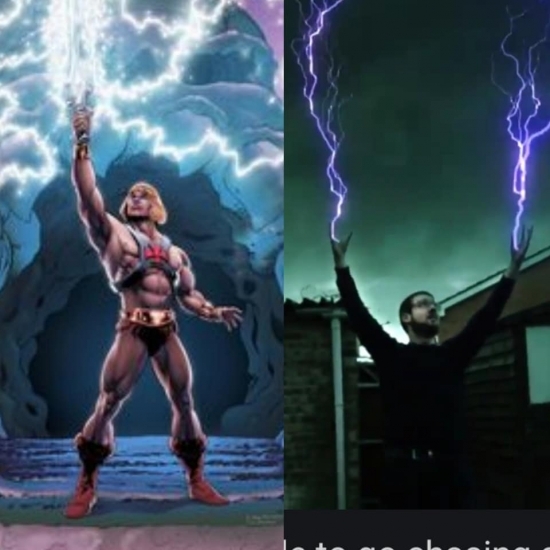 The post was quite popular on my social media pages, where one of my colleagues did poke fun at my work and compared me to He-Man. I have to say, I did enjoy the comment - especially as occasionally I feel like a numbskull! This was by far one of the more challenging projects and given I haven't upgraded my machine in 3 years, a lot of the effects took their toll, making some aspects very difficult to perfect. There are a few things I would like better from it, but I'll use those as lessons in a future project. Quality is low due to website video size restrictions but can be seen in full resolution on my Facebook page: eyesonjason. Once again, the file above is in lower resolution due to website file size restrictions, but full resolution can be found on the Pirates of Portishead Facebook page. This was my first attempt for a properly animated video for my Eyes On Eye Care social media brand and took an age to animate and compose. I'm sure more will be in the pipeline shortly! 10 Tips to help patients prepare for their eye exam - a self motivated project! Whilst I have many projects lined up, this is the end of my current portfolio. I am aiming to create a video or two a month from now on and hopefully will inspire me to keep this page updated!